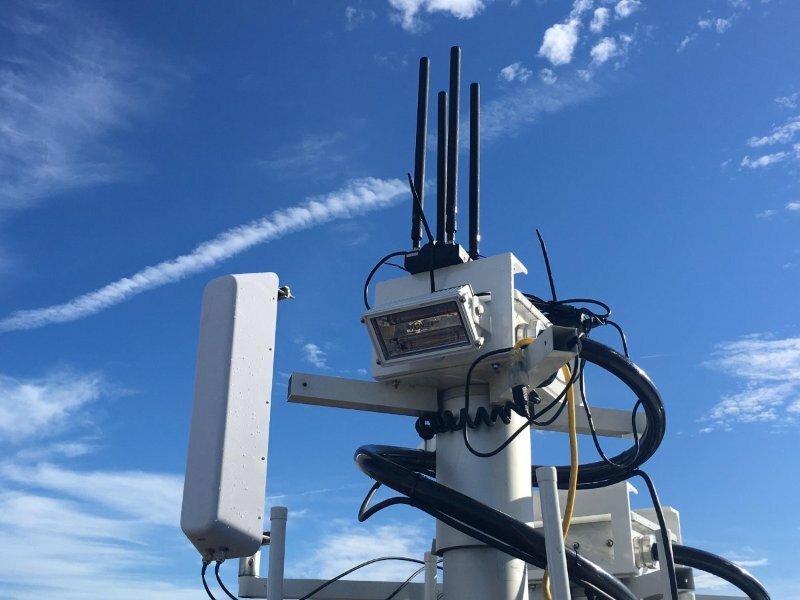 Southwest Antennas has engineered a full line of directional sector antennas designed for tactical mobile ad hoc networks (MANET) and multiple-input-multiple-output (MIMO) mesh radio systems. These antennas support high bandwidth networking for handheld radios, ground and airborne vehicles and security sensor systems. They can easily be deployed as part of a temporary communications network or installed as long-term infrastructure, and they are adaptable as situational needs change. Standard multi-port antennas are available with two, three or four RF connector ports for use with many radio systems across a wide range of operating bands and scenarios. The sectorial radiation pattern and high gain provide directional communications, focusing network coverage in specific areas. The antennas also offer polarization diversity—slant left, slant right and vertical options—to help maximize RF link strength and data throughput. These polarization schemes benefit operating environments with powerful co-located transmitters and other sources of RF interference. Optional RF filters can be integrated into the antennas to reject unwanted transmissions, improving the performance of the attached radios. These MANET/MIMO sector antennas are available now in many frequency ranges and RF connector options for a wide variety of government and military applications. Future tactical MANET radio waveforms that will become standard with next-generation military radio systems will offer operators a greater range of frequency bands. Southwest Antennas offers sector antennas options that are forward-compatible with these future waveform updates, covering L-, S- and C-Band options that will be available domestically and internationally.